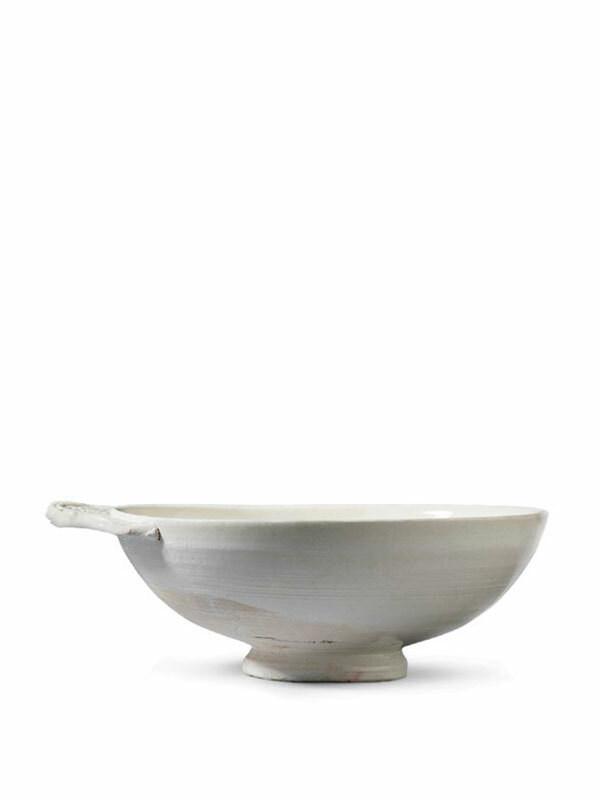 A white stoneware cup, supported on a short, tapered foot and with an ogee-shaped flange handle applied to one side. The handle is decorated with two birds in relief. 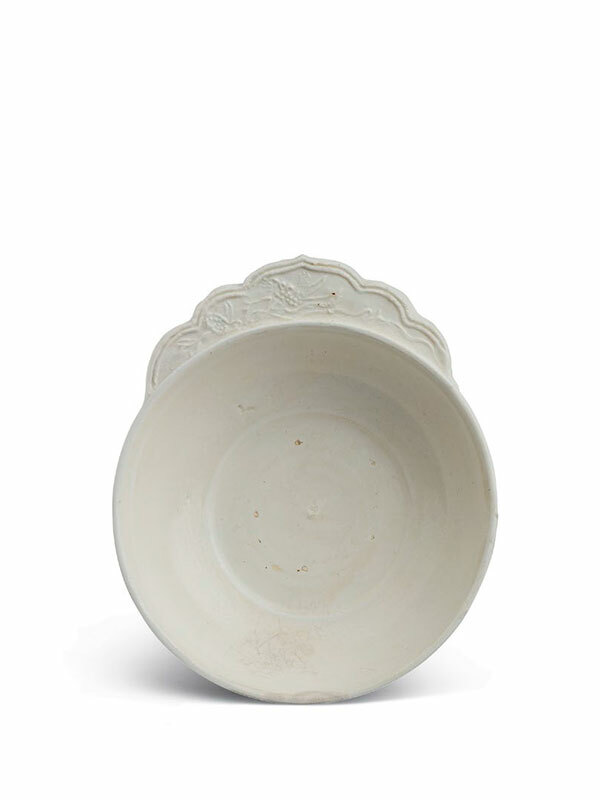 The cup is almost completely covered in a transparent ivory-white glaze, leaving the lower part of the exterior and the foot unglazed, showing the finely grained clay body. There are five tiny spur marks on the base of the interior.